There are currently 115,208 users on this website. 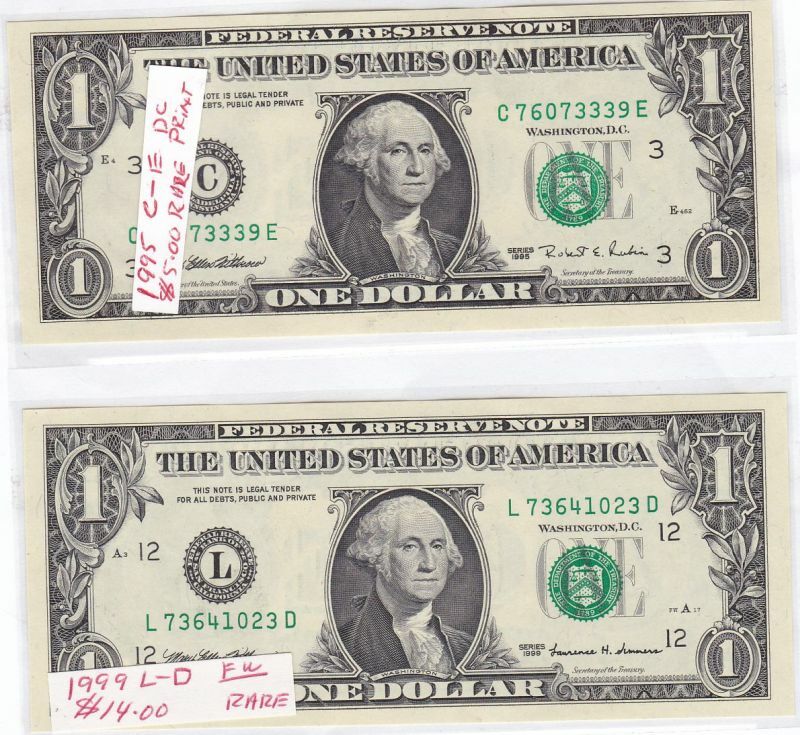 U.s .dollar Notes - 1999 & 1995. Worth More Than Face? I won an auction of many coins and these 2 notes. When I bid I assumed they were worth face. They are pictured as received, including dealer's notations. I'm not too up on this topic. Would appreciates opinions. Thanks. if you got them for face based on your bid for the lot then you did good! You can't go wrong at face, but I don't see much upside in these two. decent fillers for an album but you can do better. The 1995 series Philly runs had the lowest total out of the 1995 series. I do not see anything great for the 1999 note. I like currency, I'd keep 'em.